Make sure your phone is connected to WiFi. Download from Adobe site Flash Player 11 - direct download link. 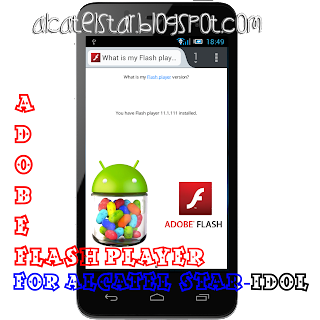 Find downloaded apk with name "install_flash_player_ics.apk" and install. You have Flash player 11.111 installed. works with the idol 6030a thanks.